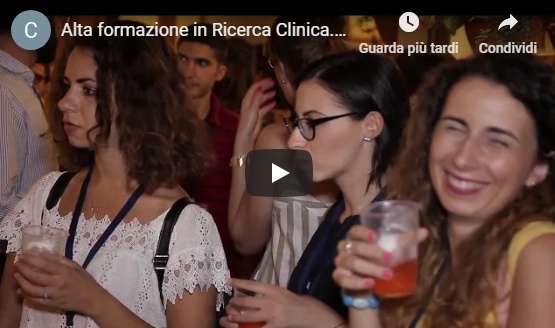 On the national scene for over eight years, CRAsecrets.com serves as a meeting point for the actors involved in the Italian Clinical Research (CRA in the first place) and explains how to become CRAs, a profession that is still considered difficult to approach. Over the years, CRAsecrets.com has successfully helped hundreds of people reach their professional goals and five years ago CRAsecrets.com published the first Italian ebook entitled "Becoming CRA" (“Diventare CRA”). This manual explains, step by step, how to become a CRA, using your time effectively and efficiently. Such initiative has attracted strong interest, and hundreds of books were sold. Download the ‘free introduction + the first three steps’ of the eBook "Diventare CRA” before you participate at the BioPharmaDay event. This will make it much easier to reply to your question at the stand. Please, be informed that during the Bio Pharma Day you will receive a one time offer to buy the eBook, exclusively dedicated to those attending the event. Come to my stand (CRAsecrets.com) for more information. After the great success of the eBook, CRAsecrets.com has also created and launched a training course that introduces those interested in the world of Clinical Research to the fascinating profession of the CRA. The course is called "Missione CRA" (CRA Mission) and was "built" on the basis of the Ministerial Decree 15.11.2011, the one that restricts the access to this profession and that requests, among other requirements, a 40-hour training course. 3. To provide a step forward along the path of those wishing to become CRAs with a training certificate, that will attest your participation in a 40-hour training course, in compliance with the D.M. 15.11.2011 (point b, Article 4 of the Decree). Do you want to taste something more? I hope you will enjoy these free resources. They have been made with all my passion for this exciting job! See you in Milano, Firenze or Rome during the Bio Pharma Day!